You may see the nurses’ faces, but you’ll have your doctor’s ear more than ever. That’s because the nurses and therapists of VNA of Ohio act as liaisons with your doctors to pass along important information about changes in your condition. 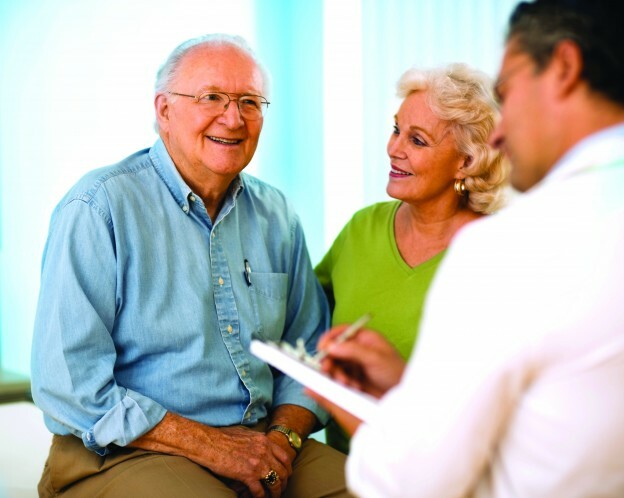 VNA of Ohio home healthcare services are administered entirely through orders from your own physician. The clinical representatives are in constant contact with that physician, who oversees all of your care. Lyndsi Rosen, director of business development officer for VNA of Ohio, said the collaboration between home healthcare nurses and doctors directly influences keeping patients out of the hospital. Homebound patients often have difficulty making it to their doctor’s appointments, so symptoms that could be caught early are left to worsen, resulting in a trip to the emergency room. Visits from VNA of Ohio nurses can replace some doctors’ appointments. The nurses are able to make observations and interpret symptoms that they discuss with the physician so fast decisions can be made about changes in treatment. Often, unnecessary trips to the hospital can be avoided. Rosen said VNA of Ohio also monitors patients remotely, extending care beyond their regular visits allowable by insurance. Through Telehealth services, nurses monitor certain vital signs daily. A monitor sends data such as a patient’s weight, blood pressure and pulse oxygenation directly to a VNA of Ohio office, where nurses can determine if readings might be indicate a complication. For example, a sudden, dramatic weight gain could mean fluid retention in a Congestive Heart Failure patient. A nurse monitoring this information remotely could contact the patient’s doctor immediately and possibly prevent an emergency. VNA of Ohio ensures that relationships between patients and their physicians continue. Rosen explained that, after a hospital stay, patients often are discharged into a hospital-based home healthcare program that does not always collaborate with the primary-care physician. Instead, they report back to hospital-based physicians. This often frustrates primary-care doctors, who feel that they lose control over their patients’ healthcare and aren’t able to treat them as effectively, Rosen said. VNA of Ohio works hard to prevent that frustration.